Austin was like a little old man growing up. Always hunched over in the morning when he got out of bed. Years of physical therapists and pain and no one knew what was wrong with him. Finally, in 6th grade, he was officially diagnosed with spondylitis. He started aggressive treatment in 8th grade. 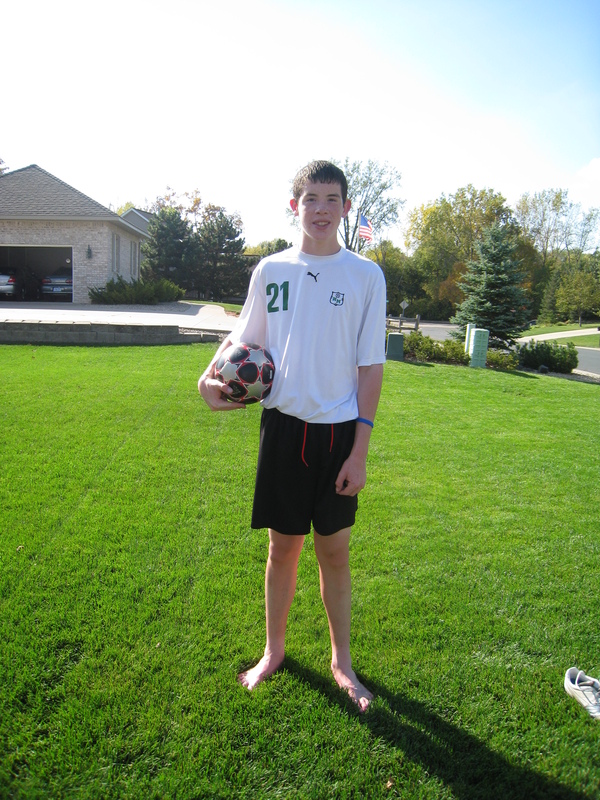 Life is a challenge, but he pushes through and tries to continue playing soccer; a sport he loves. This past year, Austin started a gluten-free diet and that has helped make pain more manageable, along with the prescribed medications. We hope and pray that he will be able to continue standing tall for many years to come.